Start your New Year off earning Continuing Education Units (CEUs) at IAQA’s 19th Annual Meeting. IAQA partners with several certifying organizations to offer continuing education credits. See below for more details. To take advantage of the lowest registration fees, register before December 1st. Registration to the IAQA Meeting includes access to the AHR Expo. Don’t forget to book your hotel room before December 7th! The IAQA Technical Program features 40 sessions, including workshops, plenary sessions, technical presentations and panel discussions with tracks focused on Assessment, Building Science, Business and Legal, Emerging Topics, HVAC, Mold and Microbes, Research, Restoration, and Sampling. IAQA partners with several certifying organizations to offer continuing education credits for attending the Technical Program. *Please be sure to have your meeting badge scanned upon entering any of the break-out and plenary sessions to ensure you receive proper credit. The total number of earned continuing education credits depends upon the sessions you attend. 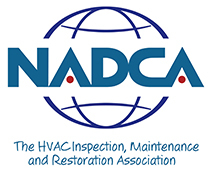 Approved for RIA continuing education credit by the Restoration Industry Association. NAFA Members will receive a maximum of 4 CEU’s towards their certification (2 for partial attendance).